Following the demise of the British Empire, the Last Laugh Looney Party, is not quite sure what British Overseas Territories it still owns. But whatever, it has decided to claim them for the Last Laugh Looney Party Island Republic. I have currently got my old stamp album out and I am looking at where they may all be. Certainly the British Virgin Islands would be worth having because of all the money deposited there by UK citizens trying to avoid tax. Anguilla, Bermuda and the Cayman Islands would definitely be worth adding to the Republics island portfolio because they not only have nice beaches, but a lot of banks to look after everyone’s money. The Cocos Islands is also something we would like to acquire as John’s Dad was there in the war. Although I am not sure if they were ever part of the British Empire. Then there are the South Sandwich Islands, they must be part of the Subway chain. We will have them for lunch. The British Antarctic Territory would be a great acquisition just in case all the mad scientists are right about global warming. There are 70 scientists there right now trying to prove it! The only problem is that if it gets too hot there might not be too much of it left. It will have all melted ! It’s probably a bit too late to claim back New Zealand and Australia but it’s worth looking at. Especially if the All Blacks can be recruited to join the Leicester Tigers en masse. ”Poke ma hone” or sweeter words to this effect [dont ask if you do not know-this is rude]? Alas dear Doris we have an island kindom, which is near at hand, mad as a hatter, money in its capital town/city from the burgermisters of Belguim, backed by those naughty but nice bankers of Frankfurt and Paris, and we the english are detested/ and gladly sung too with a rhyme or two. I am in that green and gentle land visited by leupriucauns, fairies, and a good dose of Guiness, and the ‘Liffy’ and Shannon, and the sunset in Galway Bay, where every one may look at them selves in the ‘green’ and then have a damn good giggle of laugh. 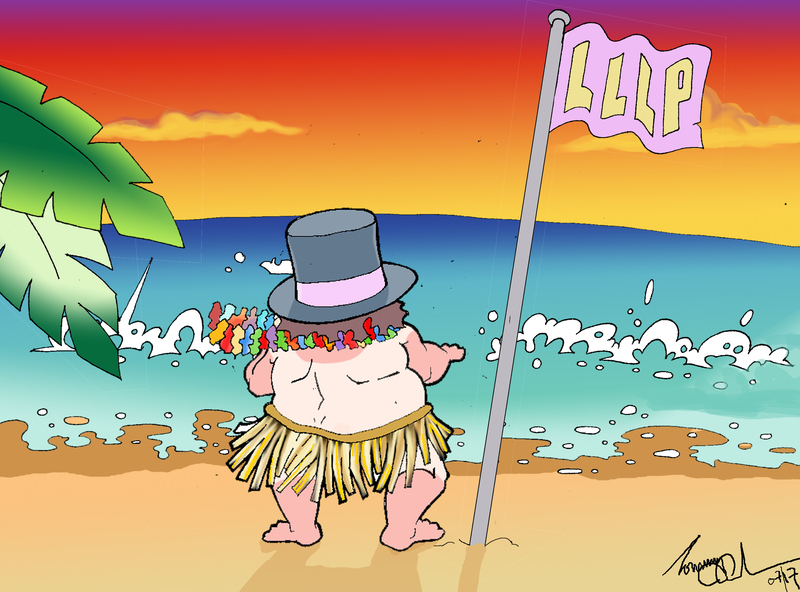 THE LLLP political wing may not be invited, but my heart is with them, in this whistful land of dreams, and reality. I need a good kick up the arse? Mabe this is where I came in. Doris please change your name to Samus! and bring sunshine from the constant westerly storms of the atlantic, and the odd shower or two from ”westminister”. If allowed or permitted, when the next ‘Eurosong’ contest takes place in Ireland, then the warm up gang should be a team or toastmaster from the LLLP REPUBLIC political party looking for active support!! to put sanity into this world of ours. Oldies! us older citezens of the LLLP Republic have feelings, and to some extent memories of times gone past? I am ashamed to say following a team of 15 Lions, or all blacks, springboks is not quite my measure, as I hail from north of Watford, and may I say Liecester, where the game of the heathens is played by 13 men and true, and the industries were textiles, mining and steel to put lead in ones pencil, so one could write and comment on the fell walks by a certain Mr. Wainwright, or if one ate ones porriage then one would attempt to scale at least 100 munroe’s in the land of ‘Tartan’, and again return to civilisation as a hero?